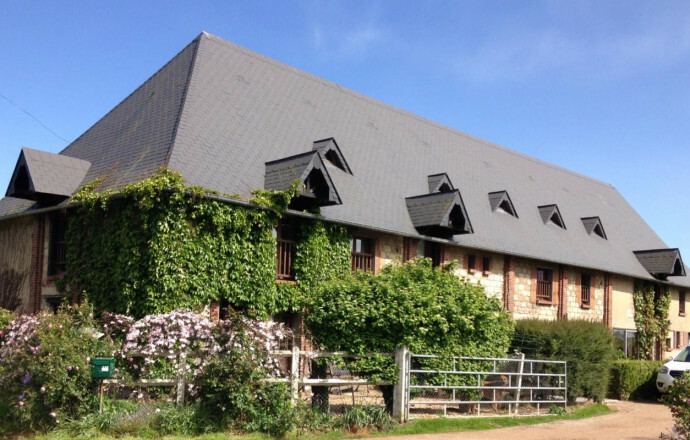 Located next to Rouen, this large country house for 49 people welcomes horses. 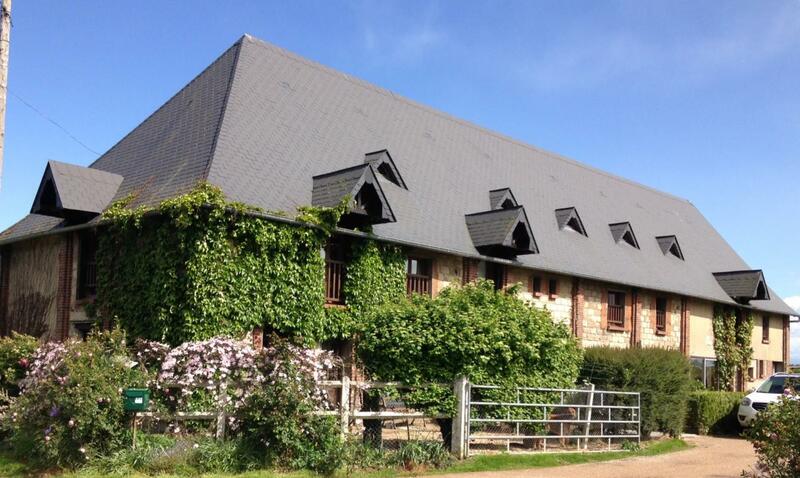 Ground floor: 150m2 living room with fitted kitchen, 2 bathrooms (1 accessible to wheelchairs) with shower. 50m2 studio flat for 4 people accessible to wheelchairs. 1st floor: 3 dormitories (6, 7 and 8 people) with private bathroom, 4 bdrm (3 ,5, 4, 2 people), each bdrm with private bathroom. 2 bedrm for 2 people with shared bathroom. 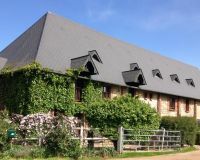 House in a riding school, next to the national forest of la Londe. Accommodation of riders and individuals. Accredited by DDJS and education authority. Rental of sheets: µ2.30, bike rental µ6 to10.50.